When required to execute transactions for their account or otherwise to provide services they have requested; or when you have specifically authorized us to do so in writing; or when provided to independent contractors hired by our Firm to help us with the preparation of your financial plan; or when permitted or required by law. Within our Firm, we restrict access to clients' personal financial information to the employees and/or independent contractors we work with us on your financial plan who need to know that information. To ensure security and confidentiality, we maintain physical, electronic, and procedural safeguards to protect the privacy of our clients. AT HILLEBRAND FINANCIAL PLANNING WE RESPECT THE PERSONAL FINANCIAL PRIVACY OF ALL OUR CLIENTS, CUSTOMERS, AND PROSPECTIVE CLIENTS. It is important to realize that they have entrusted us with private personal financial information, and it is important to us that all employees and officers of Hillebrand Financial Planning know our policy concerning what we do with that information. We collect personal financial information about our clients from the following sources: Information they provide to us in investment advisory agreements, brokerage account applications, and other documents completed in connection with the opening and maintenance of their accounts; and · Information they provide us orally; and · Information we receive from third parties, such as brokerage Firms, about client transactions with us or with others. When required to execute transactions for their account or otherwise to provide services they have requested; or · When you have specifically authorized us to do so in writing; or · When provided to independent contractors hired by our Firm to help us with the preparation of your financial plan; or · When permitted or required by law. Within our Firm, we restrict access to clients personal financial information to the employees and/or independent contractors we work with us on your financial plan who need to know that information. To ensure security and confidentiality, we maintain physical, electronic, and procedural safeguards to protect the privacy of our clients. In addition, it is important for all employees and officers of Hillebrand Financial Planning to understand that everything handled in this office is private and confidential. Nothing about our clients should be discussed outside our offices with family, friends or other clients and within the office, only discuss what is needed to complete the job. And most importantly our employees and/or independent contractors are instructed never to discuss a clients situation with someone else that may request information about an account unless the Firm has received written instructions from you specifically authorizing us to do so. This includes giving information to a husband on his wifes IRA account, to a son or daughter about their mom or dads accounts, etc. 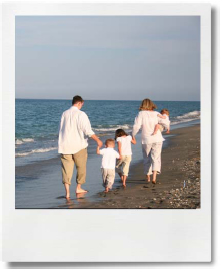 This policy is given to all clients of Hillebrand Financial Planning on an annual basis and when they become a client. For the annual mailing, it is suggested that it be sent in January of each year. A detailed list of who the policy is mailed to and the date sent will be required for our documentation of compliance with same. All written content on this site is for information purposes only. Opinions expressed herein are solely those of John M. Vyge, Principal, Hillebrand Financial Planning. Material presented is believed to be from reliable sources, but no representation is made as to its accuracy or completeness. All information and ideas should be discussed in detail with your individual advisor prior to implementation. Links to other web sites that endorse any particular investment should not be construed to be a recommendation of that investment by Hillebrand Financial Planning. Fee-Only financial planning and investment advisory services are offered through Hillebrand Financial Planning, a registered investment advisory firm in the state of Virginia. The presence of this web site on the Internet shall in no direct or indirect way be construed or interpreted as a solicitation to sell or offer to sell investment advisory services to any residents of any state other than the state of Virginia or where otherwise legally permitted. Hillebrand Financial Planning. is legally empowered to provide investment advisory services only to residents of Virginia or where otherwise legally permitted. THERE ARE NO WARRANTIES, EXPRESSED OR IMPLIED, AS TO ACCURACY, COMPLETENESS, OR RESULTS OBTAINED FROM ANY INFORMATION ON THIS SITE.